Doesn't time just flies? 2013 is almost coming to an end and before we know it, 2014 is here. Among all the months of the year, December has got to be my favourite month. Other than December being my birthday month, it’s also the month when we celebrate Christmas. The joy of giving!! With the joy of giving comes the frustration of thinking what to give, haha. If you are also running out of ideas of what to get for your loved ones, fret not! 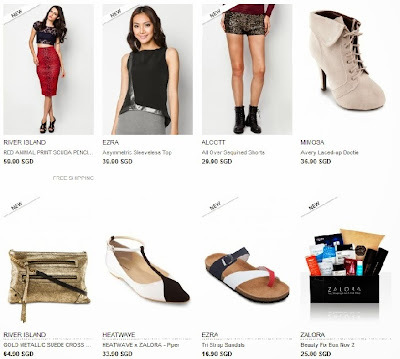 Check out Zalora.sg!! 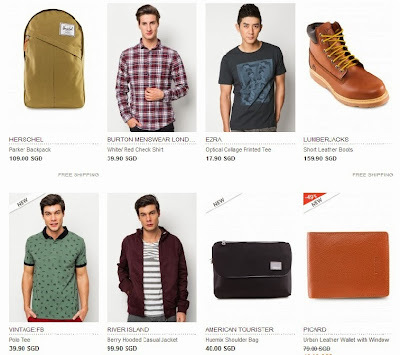 Zalora.sg has a wide selection of products both for him or her, ranging from fashion, lifestyle products and beauty as well. There will definitely be one that can fit your budget and gift requirement. Not only will you be shopping in the comfort of your home without facing the crowd in major shopping centres, your purchases will also be delivered to your stipulated address FOR FREE if your purchase is above $40. Let me share you another piece of good news. By signing up for Zalora newsletter which gives you the latest promotion and deals, you will be given a $10 cash voucher. More savings for you during this Christmas season. So what are you waiting for? Shop right away at Zalora.sg! !